I love seeing what other people carry in their bags and I have previously shared the inside of my yoga bag and beach bag. 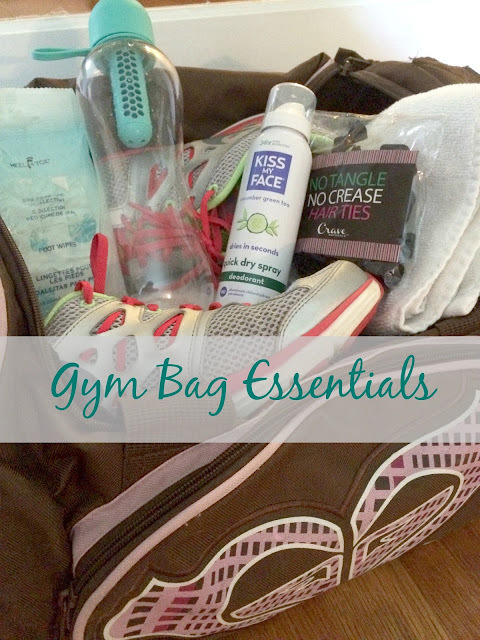 Today I am sharing what I keep in my gym bag! I belong to the local YMCA and take group exercise classes 3-4 times a week. One of my favorites is Body Pump, which is a cardio weight training class. I carry a different bag from my yoga bag on the days that I plan on taking this class. Gym Bag - Mine is old, but I found it at TJ Maxx and they always have cute bags at affordable prices. Fingerless gloves - These allow me to have a more comfortable grip on the bar. Hair ties - I love the ones from Crave! Cross Trainers - My favorite brand is Nike because they are lightweight. Water Bottle - I recently got this Bobble one and I love the built in filter. 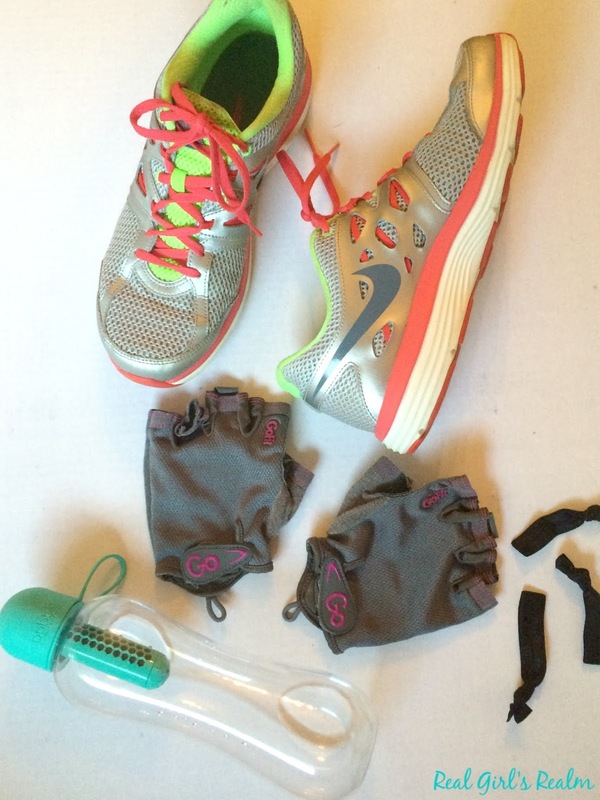 Foot Wipes - I found these at Sally's Beauty and they are refreshing after a workout! Hand towel - I just use regular towels, but you could also use the microfiber yoga towels. 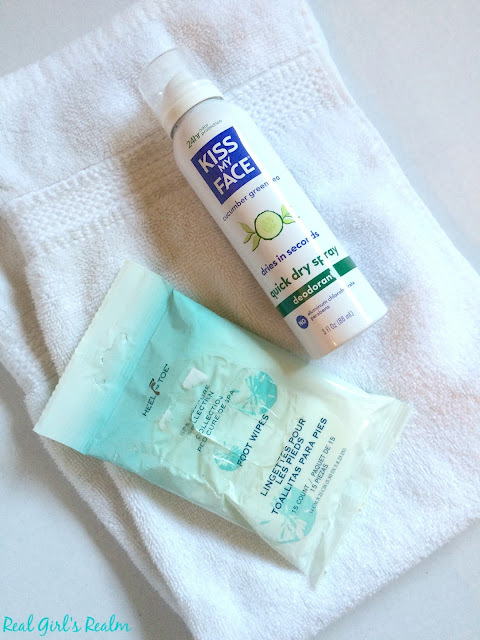 Deodorant - Have you tried the quick dry spray by Kiss My Face? It provides 24 hour protection in a cooling spray in refreshing scents. It is perfect for freshening up after a workout! Kiss My face is also free of parabens and aluminum chlorohydrate, so they are safe and all natural. Disclosure: Kiss My Face provided me with free product to honestly review. I tried the deodorant today and liked it. I need to pick up those foot wipes for after yoga and I'd also like to try that deodorant! Thanks for sharing! I know! I grabbed 2 packs when I happened upon them in Sally's! Thanks for reading!